"Love God with all your heart, mind and soul. Love your neighbor as yourself." [April 12, 2019] When my grandson was about seven years old, his paternal great-grandma passed away. I am my grandson’s maternal grandmother. I was talking to him about going to the visitation and the funeral since he was worried about what might happen. I told him that I would be there at the visitation, hoping to reassure him that he would see familiar faces. Although he was only seven years old, he is echoing a concern I’ve heard by adults, telling me that they should only go to a visitation if they know the person who died. I agree if that person was close to you that you need to visit that person’s family and visitations are a good way to express our sympathies and care to the grieving family. But it astounds me that people think they should not go to a visitation if they didn’t know the deceased, but they do know the family. When my father-in-law died, many people who know me expressed that they were not coming, since they did not know him. For those of us who are Christian, we need to remember that when we die, our body returns to the earth and our soul returns to God. When we attend a visitation. . .the deceased person is no longer there. We don’t attend to visit with that person, but their family. We, as Christians, know that the person we knew is now with God. That is what Easter is all about. We no longer fear evil. We no longer fear chaos. And most of all, we no longer fear death, since our souls live eternally with God in heaven. Jesus tells us that heaven is a place of compassion, love and grace, so we are not devastated for our loved ones, but celebrate that they are made whole and restored to new life. Of course, Jesus taught us all these wonderful wisdoms while he was alive. He lived his life to the fullest and wants us to live ours the same. 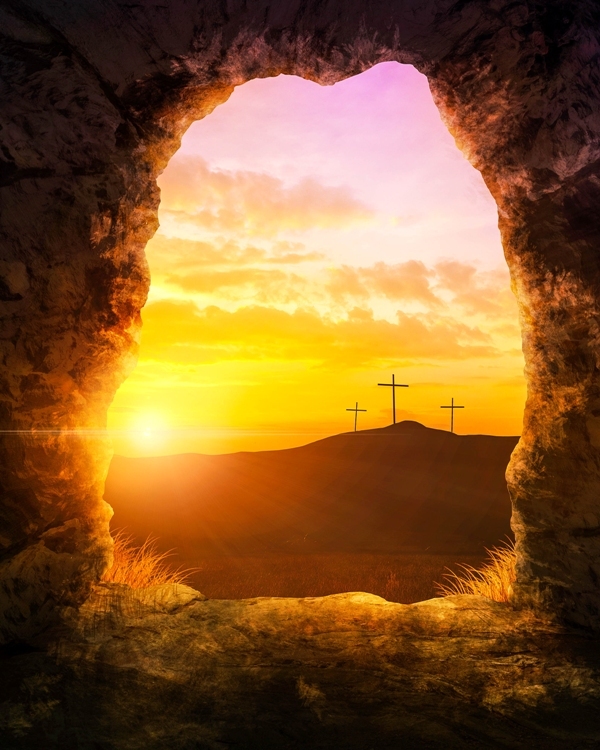 Whether we are celebrating Easter, the Risen Christ, in worship or whether it is six months after Easter and we find ourselves in a funeral visitation, it’s so very important to remember to be fully alive, to celebrate life, whether it is on earth or in heaven. Christ has risen! Let us celebrate that we can rise also, both now and in eternity. Blessings to all this Easter season!